The newest buzz in the tablets market is the response of Barnes and Nobles to Amazon's Kindle Fire (its biggest competitor). 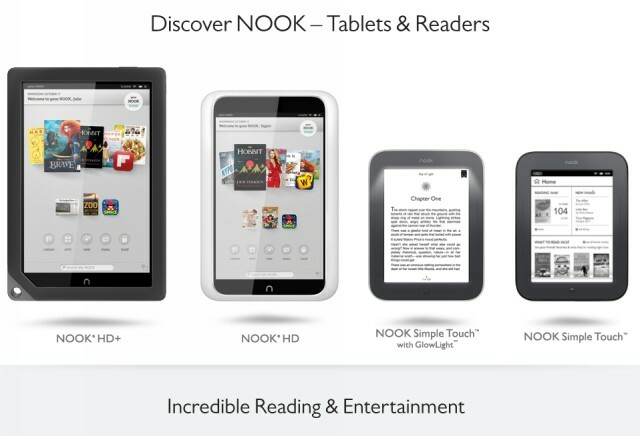 Today they released Nook HD and Nook HD+. Nook HD is a bit smaller with the 7 inch screen, Nook HD+ has a bigger 9 inch screen. The main characteristics of these tablets is the quality of the screen and the lower price. HD version, which is presented as "the lightest tablet in the class", has a resolution of 1440x900 and a price of $199 for a model with 8 GB, while the 16GB model costs $249. HD + has no intention to compete with the iPad or Kindle Fire 8.9 HD, even though it cost less than them - $269 for the 16GB model and $349 for the model with 32GB of memory. Fire (32GB) and iPad (16GB) are sold for $499. Of course, to beet the competition only high-quality screen and low price are not enough, so, the new Nooks is considerably stronger than his older brothers, and a little stronger than Amazon's tablets. They are powered by dual-core OMAP 4470 processor (HD "is" at 1.3 GHz, and HD+ at 1.5 GHz), and both models have a gigabyte of RAM. The manufacturer states that the tablets have a range of more than ten hours of use, when used for reading, and about nine o'clock when reproducing video content. Powered by a modified Android 4.0, which is adapted to the main purpose of using of a tablet of the largest U.S. bookseller - which is reading. Unfortunately, this means that not all applications of Google Play are available to users, but only those who are offered on the list of applications by B & N.
New Nook are coming to the stores in the U.S. in late October. As far as the older models, there is no decision on them - it is possible these models to still remain in production and get a lower price, or it's possible they go in history. 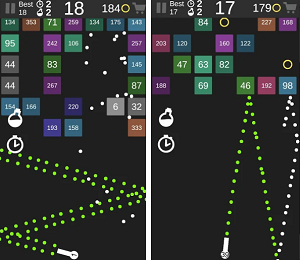 Take a look to the hands on video by The Verge.